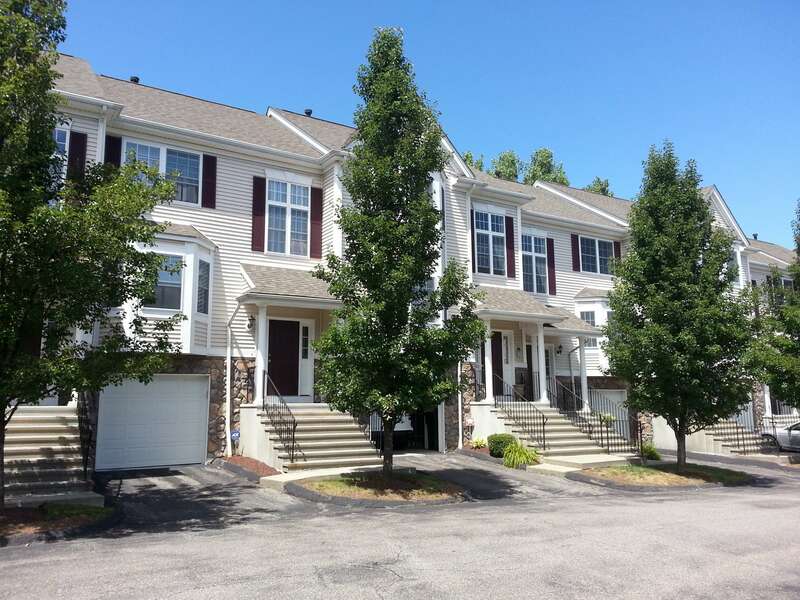 Danbury is home to many condominium units, one of which is Kensington Woods, a 120 unit complex on Larson Drive. Built in 2001, these units come with 2 bedrooms and 2.5 bathrooms and are around 1,720 to 1,780 square feet. The large eat-in kitchen has a bay window with beautiful views, pantry, breakfast nook, and hardwood flooring. Some units have granite countertops and top notch stainless steel appliances. The living room has a gas log fireplace, perfect for cozy nights in. A partial bath is located just off this room. Sliders in the dining room and family room lead out onto the all-weather deck. The spacious master bedroom boasts over 9 foot ceilings, hardwood flooring, an oversized walk-in closet, and hardwood flooring. The bay windows make the bedrooms bright and airy. The one car attached garage has access to full, finished walk-out basement. There is also an attic, which is perfect for extra storage. There is a community heated pool, workout room, and playground at Kensington Woods, guaranteeing fun for the whole family. Just minutes to the highways, it is an easy 1 and a half hour commute to New York. It’s perfect for visits to the city for an afternoon or weekend getaway.